Advances in Cancer Research provides invaluable information on the exciting and fast-moving field of cancer research. 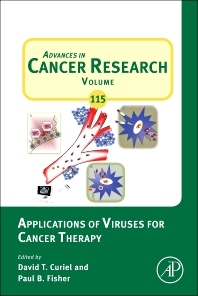 This thematic volume looks at "Applications of viruses for cancer therapy". With outstanding and original reviews, this volume covers topics such as Cancer Terminator Viruses and Approaches for Enhancing Therapeutic Outcomes, esign of improved oncolytic adenoviruses, and Adenovirus-based immunotherapies for cancer. This thematic volume looks at "Applications of viruses for cancer therapy"
David T. Curiel, M.D., Ph.D. is the Director of the Cancer Biology Division of the Department of Radiation Oncology at Washington University School of Medicine. Dr. Curiel graduated medical school at Emory University in 1982, where he also completed his internship and residency in Internal Medicine. Dr. Curiel’s scientific training includes tenureship at the National Institutes of Health in Bethesda, Maryland at the Pulmonary Branch of the Heart and Lung, and Blood Institute (NHLBI) from 1985-1989, and a fellowship in Biotechnology at the National Cancer Institute, Navy Medical Oncology Branch from 1989-1990. He received his Ph.D. from University of Groningen in The Netherlands in 2002. Dr. Curiel has been at Washington University School of Medicine since 2011. 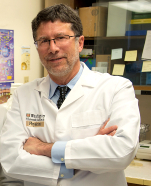 In addition to his role as Director of the Cancer Biology Division, he is Director of the Biologic Therapeutics Center.